of it into a Stew pan and thicken it up with Flour and Butter and a little pepper and Salt. 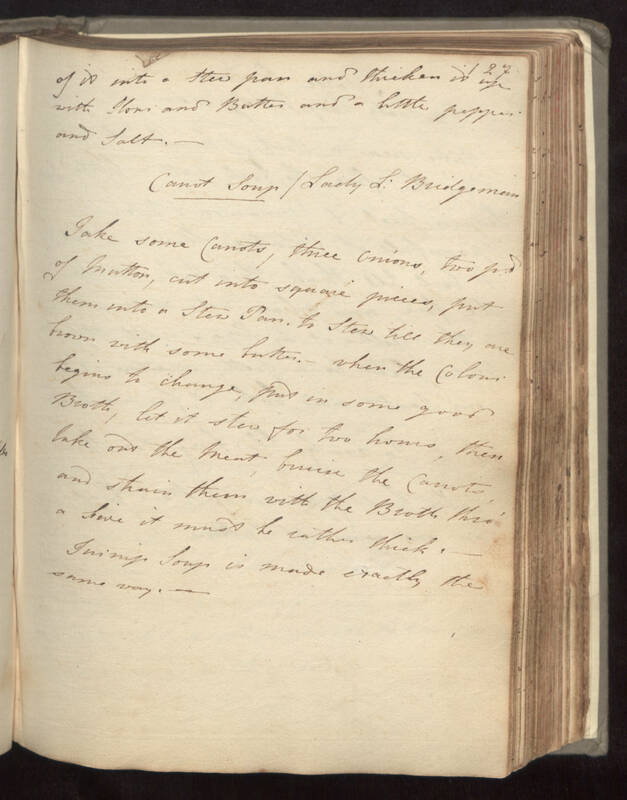 - Carrot Soup / Lady L. Bridgeman Take some Carrots, three Onions two pd of Mutton, cut into square pieces, put them into a Stew Pan to Stew till they are brown and some butter. when the Colour begins to change, put in some good Broth, let it stew for two hours, then take out the Meat, bruise the Carrots and strain them with the Broth thro' a Seve it must be rather thick. Turnip Soup is made exactly the same way.